Senior Ambassadors is a group oriented to older adults. The group was founded to serve those age 55+ and was given its name by Holy Spirit&apos;s first pastor, Fr. Dale Tupper, based on St. Paul&apos;s 2nd letter to the Corinthians, chapter 5. 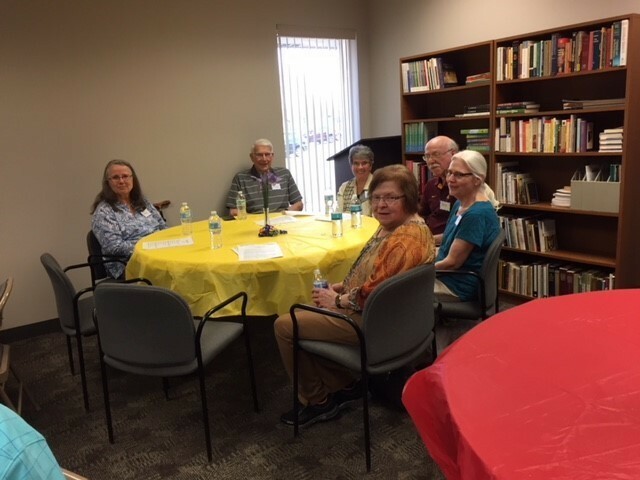 The group gathers for various events throughout the year including regular Sunday morning breakfast at various locations, concerts, plays, river cruises, a golf outing, an annual morning of reflection, local tours, and other events suggested by the group. Each of the activities typically involves a meal at a local restaurant. No regular meetings are held and there are no dues. The aim is to be, for the parish, a wise presence, a model of aging well, and a service of caring for others. All are welcome to join the group for any of the events at anytime. For all activities, there are no refunds less than two days prior to the event. Kimberly Groteboer is the SE Geriatric Case Manager and Rochester’s Senior Real Estate Expert. She is a registered nurse and and has been working with seniors and their families and long-term care for 20 years. Kimberly assists seniors and their families in the transition of moving from their home into long-term care with the goal of listing & selling their home and placing them in a safe and secure environment. This can be a very difficult transition and decision for seniors and their families, and she is here to help. Kimberly has passion and experience in this area to help reduce the stress for families.